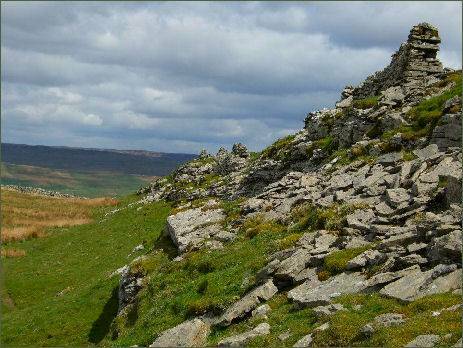 The Dales Way runs for 84 miles from the town of Ilkley in West Yorkshire to Bowness-on-Windermere in Cumbria. 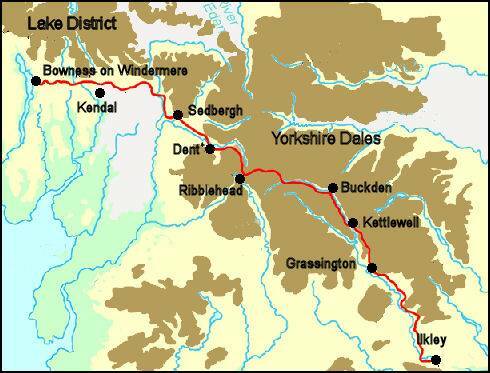 The route passes through two National Parks- the Yorkshire Dales National Park and the Lake District National Park. 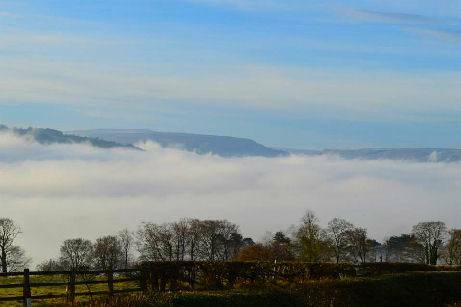 It follows through highly attractive dales, the Howgill Fells and the south-eastern part of the Lake District. The route is well sign posted and passes through some superb scenery. 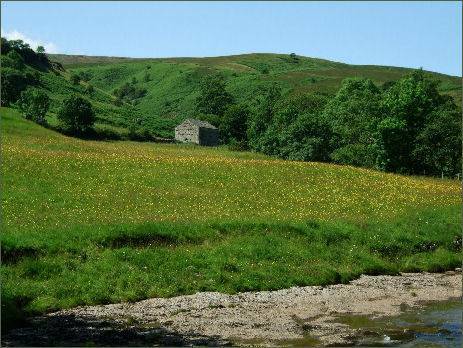 The first section of the walk follows the River Wharfe as it heads northwestwards and passes historic Bolton Abbey, the Strid, picturesque Grassington and the Dales village of Buckden before crossing Cam Fell and the Pennine Way National Trail to descend to Dentdale. The second section proceeds through several river valleys to finish on the shores of Lake Windermere, shortly before it reaches the end the route connects with the Windermere Way. The largest settlements on the route are Ilkley and Bowness-on-Windermere, and the small town of Sedbergh in Dentdale. It is possible to complete the walk the route in around four days, but most people take about a week, dividing the route into sections of 10 to 15 miles per day. There are three Dales Way Link routes from cities nearby: from Leeds (Leeds - Dales Way, 19 miles), Bradford/Shipley (Shipley - Dales Way, 8 miles) and a Bradford - Shipley link (3 miles).